A new wave of suicide bombings struck a Lebanese village near the border with war-ravaged Syria where similar attacks killed five people only hours earlier on Monday, a security source said. 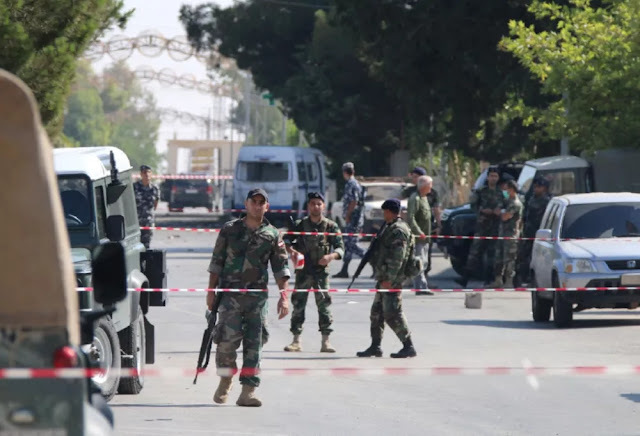 In the latest violence, three suicide bombers riding motorcycles blew themselves up in the centre of the mainly Christian village of Al-Qaa in eastern Lebanon, the source told AFP. A military source told AFP that the first attacker blew himself up near a church. The security source said two bombers struck in front of the municipality building. The Lebanese Red Cross told LBC television that "many" people were wounded in the bombings. "Clashes are ongoing on the outskirts of the village between the Lebanese army and armed groups," another security source said. Before dawn, at least four suicide bombers hit the village, the army had said, in attacks the Red Cross said killed five people and wounded 15 others. Three assailants also died. Al-Qaa is one of several border posts separating Lebanon and war-torn Syria and is predominantly Christian although one district, Masharia Al-Qaa, is home to Sunni Muslims. The border area has been rocked by clashes, shelling, and suicide attacks since Syria's conflict erupted in March 2011.